My first guest post! Written by the wonderful Jenny Mugridge, go check out the rest of her work over at www.jennymugridge.com. I hope to add more guest posts, so if you want to contribute please get in touch. In Dead Silence, Ryan Kwanten (alternatively known as “Jason Stackhouse!”) plays the protagonist of a supernatural horror film attempting to avenge the death of his pregnant wife. 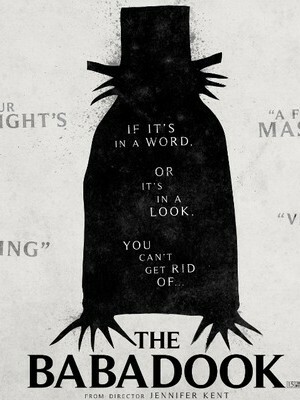 Exactly the kind of film you’d expect to come from the makers of Saw, it is moderately scary with a plot inspired by a host of other films and a boring and obvious twist. Fertility is a running theme, and the lack of it is expressed through the need to adopt infant-surrogates in the form of puppets or dolls; other than that it is a fairly straightforward haunting-and-possession flick. When Jamie receives an unmarked package with a ventriloquist doll inside, he isn’t quite as freaked out as I would have been, even when his wife reminds him of an urban legend from his childhood. The story goes, “Beware the stare of Mary Shaw – she had no children, only dolls. If you see her in your dreams, make sure you never ever scream”. Aside from the infuriating fact that it <b>doesn’t rhyme</b>, it’s not quite on the same level as “one, two, Freddy’s coming for you”, but it is fairly succinct in getting across the core concept of the film. When he leaves the house to get dinner, his wife (who has far too little screen-time, in this writer’s humble opinion) sets up the puppet to mess him with him later. Unsurprisingly though, things go sour and when the doll comes for her she forgets the most important part of the rhyme – the not screaming bit. Seeing the mother of his unborn child horrifically murdered in front of him leaves him less insane with grief than you might think, and he seems fairly cogent when he seeks out his father to see if there is any truth to the Mary Shaw myth, in an attempt to explain Lisa’s gruesome murder. Mary Shaw herself is a pretty scary if tragic villainous figure, but it’s her dolls and puppets that really take the main stage in terms of horror. Although Jamie’s father is set up as a bad guy, we receive very little explanation for exactly why, and the detective who seems to unnecessarily persecute a grieving widow to great personal expense is a rather flat nemesis. 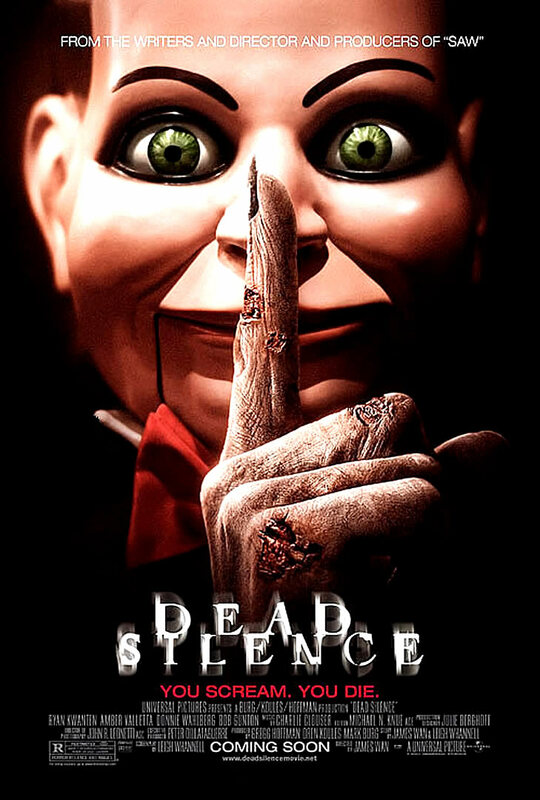 While Dead Silence is probably better appreciated as a string of crow-barred in scary concepts than a cohesive horror film, those concepts are at least pretty good – if you have a fear of puppets, dolls, clowns, dead children or dead bodies, you’ll find something to creep you out. It’s not a terrible film by any means and has some genuinely terrifying moments mostly executed through a fantastic cultivation of atmosphere, but it’s hard not to spend the duration of the film comparing it to other, better horrors. It’s difficult to praise Dead Silence very much, but it feels unfair to be too critical of a film that has some genuinely good parts. It isn’t irredeemable but it is a fairly straightforward horror; it’ll make you jump but you shouldn’t expect to have nightmares about it weeks later.